The Week in iOS Accessories: Grip it good! We always see something new in our weekly iOS accessory roundup. (After all, it is a roundup of new products.) This week's biggest novelty is an iPhone holder that will also help you get a powerful Charles Atlas handshake—no more getting sand kicked in your face at the beach! Altec Lansing: Altec Lansing is finally joining the AirPlay bandwagon with its first AirPlay-enabled speaker system, the $500 InAir 5000. The system includes dual 3-inch midrange drivers, three amplifiers, and a four-inch subwoofer for maximum sound. Altec's free inAir Guide app makes it easy to connect the InAir 5000 to your local wireless network. Antelope Audio: Some audiophiles complain that iOS devices aren't built for high-resolution stereo sound. Antelope Audio's line of Zodiac D/A converters now offers a resolution—ha, ha, get it?—to that issue, letting iPad owners play audio files of up to 384 kHz. Users must plug an Apple Camera Connection Kit into their tablet and then connect it to the Zodiac using a standard USB cable. But you'll need some cash to enable your love of great sound: The Zodiac line ranges in price from €1,595 to €2,995. iHelicopters: This company is a frequent guest in the weekly roundup because of all the fascinating iPhone-controlled devices it brings to market. The latest? The $50 iPhone Controlled Stunt Car Racer, a remote-controlled stunt racer capable of all manner of neat tricks. 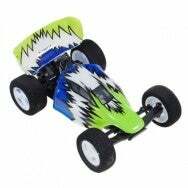 You'll need to download the company's free controller app from the App Store and plug a transmitter into your iOS device; after that, you can remotely control the stunt car at a range of up to 20 feet. iLoop: Here's a product that's doubly ergonomic. The $20 iLoop is both an iPhone holder and—we're really not kidding about this—an exercise hand grip. The small silicone ring will display your phone in an upright position, letting you view pictures or videos or simply talk hands-free. (The company says the device amplifies the microphone and speaker for better speaking and hearing.) And when you tuck your phone in your pocket, you can squeeze the iLoop to work off stress and strengthen your lower-arm muscles. It's the first iOS accessory we've seen that will eventually help you open a pickle jar. Physical Apps: Speaking of exercise, we'll confess to occasionally throwing our iPhones across the room, but those times when such throws happen out of frustration, we sure could use the $25 TheO. 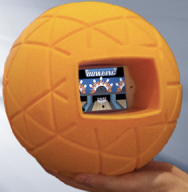 First seen by our friends at TUAW, the TheO is basically a Nerf-style ball with a slot for your phone, letting you roll and toss without doing any harm to your treasured iOS device. Custom iOS apps will let you play games involving rolling and flying iPhones. There's a bit of a wait before you can slam-dunk your phone, however, as the TheO doesn't ship until May. 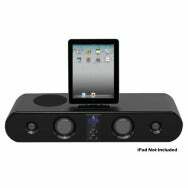 PyleHome: The $147 iOS Sound Bar Docking System can serve as a dorm-room entertainment system with the iPad at its center. The shelf system sports five speakers—including a 5.25-inch woofer—as well as its own FM tuner with auto-search and 20 station presets. The system works with all iOS devices, and video from those devices can be routed to your TV through the system; it also includes a remote control. USBFever: Don't you kind of wish your iPad was a business phone? The $200 Bluetooth Video-Conferencing Dock for iPad 2 makes your wish come true. The device docks your tablet for use in hands-free videoconferences; it also includes a wired-in handset if you're interested in using it as a more traditional phone. The dock powers up your iPad while it's connected, letting you put the tablet at the center of your daily business activities.